This copy of Fergie's first book, The Game is Easy, Life is Hard, co-authored by Dorothy Turcotte, is autographed by Fergie Jenkins with his HOF '91 inscription. 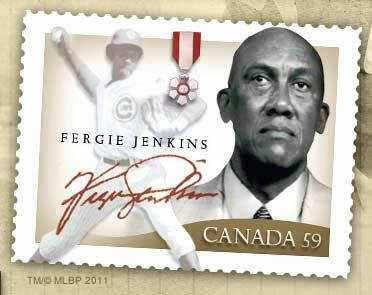 It can be yours for a $20.00 donation to the Fergie Jenkins Foundation. This copy of Fergie's most recent book, My Life From the Cubs to Cooperstown, co-authored by Lew Freedman, is autographed by Fergie Jenkins with his HOF '91 inscription. It can be yours for a $40.00 donation to the Fergie Jenkins Foundation.